Both the pro-reform Building a Better Ohio, and the anti-reform unions have been touting different studies that seek to compare the average wages for the public sector versus the private sector. On the anti-reform side, the unions have been promoting a study performed by the Economic Policy Institute (EPI). The EPI study says that public employees earn 6% less than their private-sector counterparts. Hardly neutral, the EPI is decidedly pro-union and very liberal. Lawrence Mishel, EPI’s President, is a long-time member of the Democratic Socialists of America. Furthermore, their study was written by Rutgers Professor Jeffrey Keefe. If you recall, we featured a story about Keefe in which he was recorded agreeing to kill research that didn’t come to a conclusion that the teachers’ union wanted. He also admitted that EPI definitely has an agenda. All of that makes EPI’s study less than trustworthy. On the other hand, the pro-reform side has quoted a study from the American Enterprise Institute (AEI) that claims that total compensation for public employees is 43% higher. Unions are quick to point out that the AEI is a conservative organization, and claims that their study isn’t reliable, either. Fair enough. Enter a new piece of data to compare. 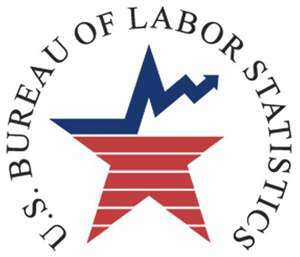 Today, GOHP Blog points to data from the U.S. Bureau of Labor Statistics. Guess where their numbers came out? The U.S. Bureau of Labor Statistics reported, nationally, the wage-plus-benefits averages this past June to be $28.13/hour in the private sector versus $40.40/hour for government employees. That’s $28.13 compared to $40.40. In other words, IT’S A 43.6% INCREASE. This doesn’t take some fancy statistical analysis to figure out folks, it’s cut and dry from the U.S. Bureau of Labor Statistics. than those in the private sector. That’s straight from Barack Obama’s Department of Labor, folks. Now, nobody here is saying that public workers are “overpaid”. But this does go to show that the cost of benefit packages in the public sector are far more generous and expensive, and they are paid for by taxpayers. The reason they are more generous is that under current law, power is tilted towards the public-sector unions. The whole point of Issue 2 is to level the playing again, so that local governments can manage their costs more effectively, instead of being hamstrung to the point where their only options are to raise taxes or lay off employees. Let’s level the playing field again. Vote YES on Issue 2.